Major damage to the building is usually caused by the natural calamities. But there are various factors that can cause damage to the buildings. The damage incurred to the building is usually in the form of major and minor cracks. 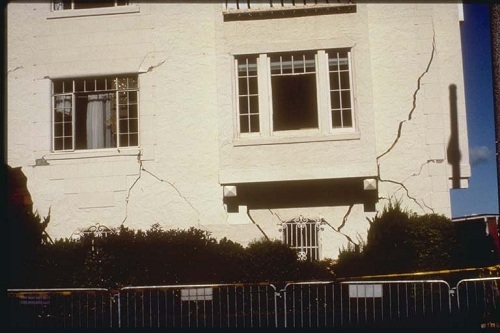 Major cracks could be structural cracks which cause immense damage to the structure. Earlier, I wrote two articles on the subject “Cracks in Buildings“. The cracks are classified depending on the amount of damage they cause to the structure. After the construction of any building, periodical inspections of physical components of the building are to be carried out. Physical inspections help us in keeping a check on the damage or wear and tear caused to the structure. Inspection is important so that we identify the problem and repair it before it gets unrepairable. This includes checking of walls, columns and roofs of the super structure. Diagonal cracks are structural cracks. Grooves are to be made to avoid cracks. dear sir , i would like to hav advice , there is an old rcc building which has many cracks ,and the reinforcement is exposed in the beam n slab , this has been repaired earlies also , is it possible to do the repairing ? It is definitely possible to repair the building. All you have to do is to cover the exposed reinforcement with plaster (Cement+sand+water). It will work absolutely fine. Also you will have repair and seal the cracks. Great article! My husbands in real estate and he always insist that his clients have the home inspected. Some clients think because they don’t see anything wrong with the property that there isn’t.